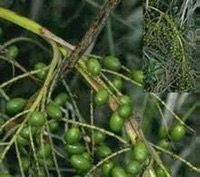 Saw Palmetto (Serona Repens) is a herb that prevents the conversion of testosterone to dihydortestosterone, which helps to prevent the development of prostate disease and may be beneficial for genitourinary problems, endocrine disorders, infertility, impotence, menstrual disorders, ovarian dysfunction, lactation, thyroid deficiencies, and painful menstruation. 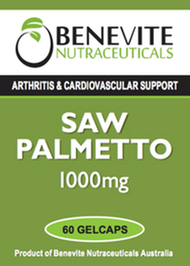 Benevite Nutraceuticals™ containing Saw Palmetto is guaranteed to contain whole-herb active compounds Fatty Acids) for natural health benefits. Our quality extraction inhibits normal plant oxidation, maintaining product potency and extending freshness. 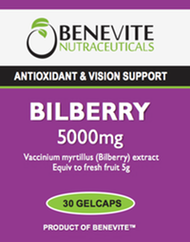 It includes all-natural antioxidants in each capsule. Adults, take 2 capsules, 3 times daily with a large glass of water or as directed by your healthcare professional.